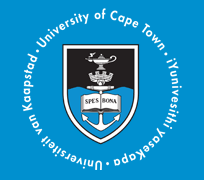 This page only lists UCT Administrative Forms currently administered by the Content Architecture team (Systems Division). For Student Administrative Forms, use the navigation bar above or see: UCT Student Administrative Forms. All forms available on this web page are for UCT staff and/or third party use only, unless marked with an asterisk (*). ACA05 This form has been discontinued. Note: Please ensure you also submit the relevant forms below in support of your Deferred Exam Application. ACA44b Supplementary Information for Application for the Deferred Examination To be completed if a student requires supplementary information to apply for the Deferred Examination (DE). AS002 This form has been removed, use AS001 combined with CD006 instead. BAS05 This form has been removed, as it is no longer in use. BAS06 This form has been removed, as it is no longer in use. BAS09 This form has been removed, as it is no longer in use. (Right click - Save As...) UCT Request for Building Maintenance When reporting a building or equipment fault or submitting a request for building or equipment maintenance or repair. CD002 This form has been removed, please use CD007. CD003 This form has been removed, please use CD007. CD004 This form has been removed, please use CD007. CD005 This form has been removed, please use CD007. approval for a fundraising project, and want it to be created on Kidz. a pledge, award or notification of a future donation to UCT. a donation and want to have it processed to your fund. CMD02 Website application Use when applying for the creation of a website, either in the UCT Web CMS (Content Management System) or another suitable repository. CMD04 Website activation application Use either when you have an existing site that is being replaced with a new site on the UCT Web CMS (Content Management System) or if you have a new site which you want to make live. CMD04 Website deactivation application This is a request to deactivate an existing site which has been created in the UCT Web CMS. CO101 This form has been removed, as it is no longer in use. CO102 This form has been removed, as it is no longer in use. CO103 Application for Cost Center Maintenance When you want to create or maintain a cost center. CO105 This form has been removed, as it is no longer in use. CO106 This form has been removed, as it is no longer in use. CO107 Application for Real Internal Order Maintenance When you want to create or change a real internal order. CO108 This form has been removed, as it is no longer in use. CO109 This form has been removed, as it is no longer in use. CO110 This form has been removed, as it is no longer in use. CO111 This form has been removed, as it is no longer in use. CO116 This form has been removed, please use CO115. DDB01 Form no longer in use, replaced by DDB07. DDB02 Form no longer in use, replaced by DDB07. DDB10 PhD IP Assessment Form This form is to be completed by PhD students registered in Engineering and Built Environment, Health Sciences and Science prior to thesis submission. FHS002 Clearance of research proposals (also known as C1) When you are applying for research funding, such as contracts, consultancies, clinical trials and other research related activities. FHS006 Protocol Amendment When making changes to a protocol approved by the Human Research Ethics Committee. FHS013 New protocol application form - Section A When you need to apply for a new protocol - Section A.
FHS014 Preparing a synopsis: Section B - Pointers for Researchers When you need pointers on preparing a synopsis (Section B). FHS019 Final Report When you need to close a study. FM003 Application to open or change a fund When you want a fund to be created or changed on SAP. FM007 Close a fund When you want a fund to be closed on SAP. FM013 Request for journal: single entry form When you want a journal passed of only 2 lines, to debit one Fund/G/L account and credit another. FM014 Request for journal: multiple entry form When you want a journal passed of more than 2 lines, but less than or equal to 6 lines. For more than 6 lines, please use the FM014 spreadsheet. FM031 Request for advance When you require money (cash/cheque) for sundry purposes, field work or travel expenses in advance of the supporting documentation. FM032 Subsistence and Travel (Local & Foreign) When you require subsistence for business travel. In addition, you may require an advance for related travel/accommodation expenses not covered by the S&T allowance. See: S&T policy Attachment C for guidelines of amounts included/excluded from S&T. FM041 Request for exception to finance policy When a staff member requires the approval of the Executive Director, Finance, to be considered for exception to one of the finance policies. FM045 Reimbursement (UCT internal) When you need to be reimbursed for expenses that you have been authorised to incur on behalf of UCT. FM046 This form has been removed, see form MM014. FM049 Reimbursement (UCT external) When you need to reimburse external parties for authorised expenses that they have incurred on behalf of UCT. Note: External parties are individuals who are not current UCT staff members or students. FM051 Electronic transfer request When a vendor requires an electronic payment into their bank account. Please be aware that terms other than "Net 30" can only be negotiated by the Purchasing Dept. FM052 Request for student award/ prize from investment fund When you need a UCT cheque for a student prize or award using an investment fund. GI01 Servicing Officer Application When a UCT committee servicing officer needs to apply for access to the Governance Intranet in line with their role. For further information, see: The Governance Intranet. (Note: No form previously existed for this request which can now be completed through ServiceNow.) When a UCT committee servicing officer no longer needs access to the Governance Intranet and needs to have their access removed. GI02 New Committee Application When a UCT servicing officer (SO) or UCT staff member needs to apply for the creation of a new committee on the Governance Intranet (GI). (for faculty & department use) This form is used in respect of all appointments handled by departments, excluding the appointment of students to roles linked to their studentship e.g. tutor, library assistant, sub-warden. (for faculty and department use – students in roles linked to their studentship) This form is used for the appointment of students to roles linked to their studentship (e.g. tutor, library assistant, sub-warden). HR110 Stop Order for Housing Bond This form has been removed as HR no longer accepts new bond deductions. HR130 Disclosure form for Staff Must be used to declare your financial and fiduciary interest and those of your immediate family. HR131 Disclosure form for Council and Committee members Used by members of Council and members of Council committees to declare financial and fiduciary interest and those of the immediate family. HR146 This form has been removed and replaced by an online Exit Questionnaire on Vula. It does not require logging in to Vula and is anonymous. HR152 This form has been removed. UCTRF members may change their additional voluntary contributions on their Cost of Employment (COE) schedule during the annual COE review. HR155 This form is no longer in use. Please make use of HR151 - Nomination of beneficiaries for UCTRF and UCT separate death benefits. HR162 This form has been renamed to HR162b. HR185 This form has been removed and replaced by the online Course Booking Form. For assistance, please contact the Staff Learning Centre on x 3812. HR200 Request for recruitment advertising This form is used by Line Managers who wish to advertise a vacancy. HR201 Staff vacancies application form This form is used by all applicants applying for staff vacancies at UCT. INS02 Overseas Travel Insurance When applying for overseas travel insurance. INS04 Assets all risk - staff transit insurance When applying for transit insurance for moving a consignment of personal belongings. See the Relocation Policy for more details. MM002 Request for new vendor When you want to get a new vendor listed on SAP. This form is no longer in use. Purchasers should use the New Vendor Request transaction within SAP to request a new vendor. MM003 Application for UCT Purchasing Card When you want to apply for a UCT Purchasing Card. MM006 UCT Purchasing Card missing supporting document has been replaced by FM050: Missing supporting documents. MM008 This form is no longer in use. Please use your P-Card for any Makro purchases. If you require a P-Card, please complete MM003:Application for UCT PurchasingCard. MM022 SAP Student vendor application Used when a student needs to be loaded as a vendor on SAP to facilitate payment into their bank account; i.e. when the student will require a disbursements or payment that would not be deemed as a salary. MM023 Temporary vendor request Use when a department needs to place an order with a local vendor who is not a UCT SAP vendor and will be used on a once off basis. MM024 Request for quotation Use to request a quotation from a vendor for goods or services, i.e. for orders from R100 000 to R1 000 000 (three quotes required); or for lower values if appropriate. MM025 Quotation summary Use to summarise quotations received from vendors when a department has requested a quotation for goods or services using MM024,i.e. for orders from R100 000 to R1 000 000 (three quotes); or for lower values if appropriate. PG009 This form has been removed. PG010 This form has been removed. PG011 This form has been removed. PPS01 As of 1 June 2015, the Personal Performance System (PPS) for PASS staff is replaced by the Development Dialogue process. This form has been removed, and replaced by HR210. PPS02 As of 1 June 2015, the Personal Performance System (PPS) for PASS staff is replaced by the Development Dialogue process. This form has been removed, and replaced by HR211. PPS03 As of 1 June 2015, the Personal Performance System (PPS) for PASS staff is replaced by the Development Dialogue process. This form has been removed, and replaced by HR212. Note: From January 2019 all applications for the URC Page Costs and the Open Access Fund (article processing charges) must be submitted to Research Office via UCT’s Research Portal on the Research Administration (eRA) system. R&I17 This form has been removed as the funding category no longer exists. R&I19 This form has been removed as the template is no longer relevant. R&I20 This form has been removed. R&I25 This form has been removed as the funding category no longer exists. R&I28a Claude Leon Merit Award for early-career researchers curriculum vitae template For nominators (self-nominations are acceptable) of early-career researchers for grant funding through the Claude Leon Merit Award. SAP01 SAP purchasing user For staff doing purchasing on SAP (which includes FM Reporting) or to apply for refresher training. SAP02 Funds Management (FM) reporting user For staff doing funds reporting in the FM module of SAP or to apply for refresher training. SAP04 Controlling (CO) planning / reporting user For staff reporting on costs and activities in the CO module of SAP or to apply for refresher training. Note: This form was previously used to apply for temporary staff members' access to SAP. For this category of staff, please use the SAP form appropriate to their role and specify temporary status when you fill out the form. SAP07 SAP HR change request Form removed and replaced by new process. SAP08 SAP Finance change of authorisations When a SAP user requires changes to their current fund center or cost center group access. This form is no longer in use. Please complete this request in ServiceNow: SAP Finance change of authorisations. SD008 This form has been removed.